WATTS UP WITH POWER METERS? As the price of bike power meters to measure watts comes down, they are becoming more mainstream on road and triathlon bikes. As a coach, I'm getting more questions about how to train and race with watts. Watts are a fantastic tool to use if you know how to use them but so many people just look at the numbers and don't really know what they mean and what targets they should be going after. 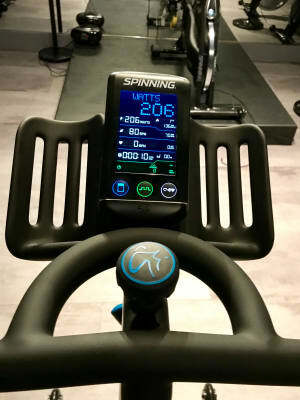 When running, we use our Garmins to measure pace per km, in cycling we can use speed BUT watts are a far more precise measure of the intensity you are actually riding at. Testing and knowing your watt zones allows you to be in the appropriate training zones for your workouts and races. Most trained athletes who bonk on the run during an Ironman, do so because they have gone too hard on the bike and have nothing left for the run. If you know the watt zone you are capable of racing at, you know that you can't go any harder without burning up all your matches. After reviewing Ironman Hawaii qualifier, Linda Lafrance's zone training and testing data on the Training Peaks software that we use, we put together her Mt Tremblant race plan to include target watt zones on different parts of the course. It was amazing to watch. As Linda hit the run course, she just got stronger! 1) Oct 10th - I will be presenting a FREE workshop on how to train with watts at the Ottawa Athletic Club at 10:30am. Limited to 30 people. Pre registration required. 3) Join our indoor cycling program and get properly trained and coached with watts all Winter long! 4) Get coached one on one on Training Peaks software by one of our experienced and educated coaches who will customize your program for your fitness level and schedule.